Banksy piece depicting two young children tossing a concrete slab. 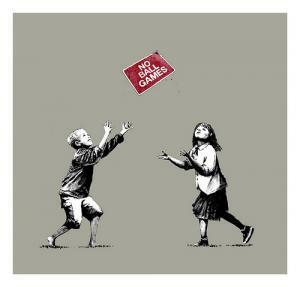 The print is entitled “No Ball Games” and will be available December 12th, 2009 at P.O.W. at the store only.